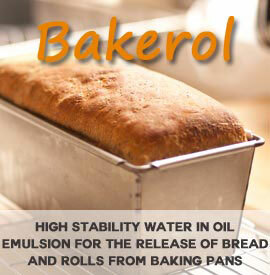 Masterol Foods supplies fluid and plastic shortenings and margarine products for baked foods including bread, tortillas, wafers, cakes, muffins, pie bottoms and pastry. 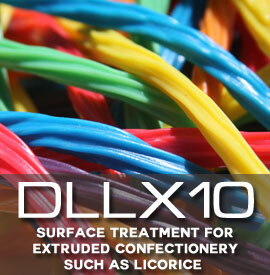 Fluid shortenings are suitable for many applications where margarines and plastic fats have traditionally been used. They are much easier to handle in the bakery, offering outcomes which are economical and low in saturated fat. Through the use of emulsifiers selected for their synergistic effect in the finished product, Masterol Foods’ liquid shortenings offer results which compete head-to-head with traditional margarines and shortenings in terms of quality, presentation, flavour, aroma and mouth feel. A selection of traditional margarine and shortening products completes the range. The Valley Pride range of shortenings offers results which feature a traditional flavour and texture while achieving significant reductions in saturated fat and overall fat content. Valley Pride shortenings rapidly mix into the dry ingredients, resulting in an even distribution throughout the flour and an overall reduction in the level of shortening used. Products include VegeLite, MaxiVol, DohFresh and WonderWhip. Easi Base is designed for the manufacture of products which feature a biscuit base such as cheesecakes. The oil binds the biscuit together, ensuring that the base is well moulded and crumble free. Easi Base ensures that biscuit bases retain their structure and flavour whilst on the shelf. Water Trend is a fluid shortening designed to speed up the process of adding fats to flour-based batters and mixes. With plastic or hard fats, the shortening in the mix tends to coat the particles of flour and other dry ingredients. In contrast, Wafer Trend helps the water to penetrate the fat layer and hydrate the starch particles. HyVol series products are fluid bread shortening and emulsifier systems designed to fulfil the needs of bread manufacturing operations which require the emulsifier to be added at the same time as the shortening. They are stable blends of refined and deodorised vegetable oils and sodium stearoyl lactylate (SSL). Golden Mex is a blend of refined and deodorised vegetable oils and emulsifiers especially designed for the production of flour tortillas. Golden Mex promotes the formation of a smooth, uniform batter that reacts smoothly and properly to heat when it is baked. Most importantly, Golden Mex eliminates cracking of the flour tortilla when folding.